A number of prominent Australian writers, publishers and journalists have joined a new campaign calling on the federal government to resettle Manus Island-detainee and award-winning author Behrouz Boochani in Australia. The Media, Entertainment and Arts Alliance (MEAA) is co-ordinating the #FreeBehrouz campaign to resettle Boochani in Australia after six years on Manus Island. Among the more than 2000 signatories to the petition are writers Arnold Zable, Helen Garner, Kate Grenville, J M Coetzee and Tom Keneally, and publishers Michael Heyward, Henry Rosenbloom and Geordie Williamson. The core campaign comprises Zable, Writing Through Fences founder Janet Galbraith, visual artist Hoda Afshar, journalist and Alliance for Journalists Freedom spokesperson Peter Greste and MEAA CEO Paul Murphy. Zable expands on the campaign for Boochani in an opinion piece published by Fairfax. 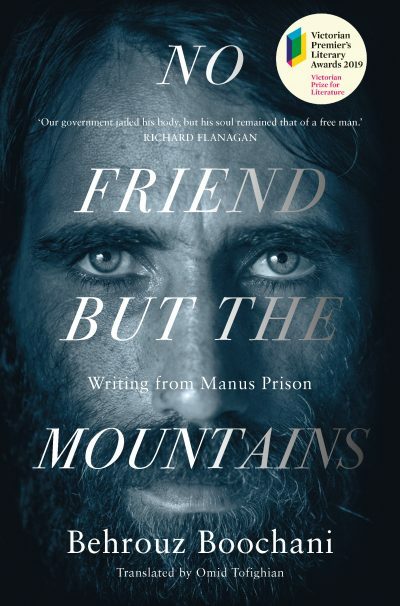 ‘In the light of the success of No Friend but the Mountains and increased attention to my work, MEAA, who have supported me and my works over the past few years have started a campaign to release me from Manus … This is important in promoting my work and fighting for freedom of speech for imprisoned journalists and writers,’ said Boochani in a Facebook post.